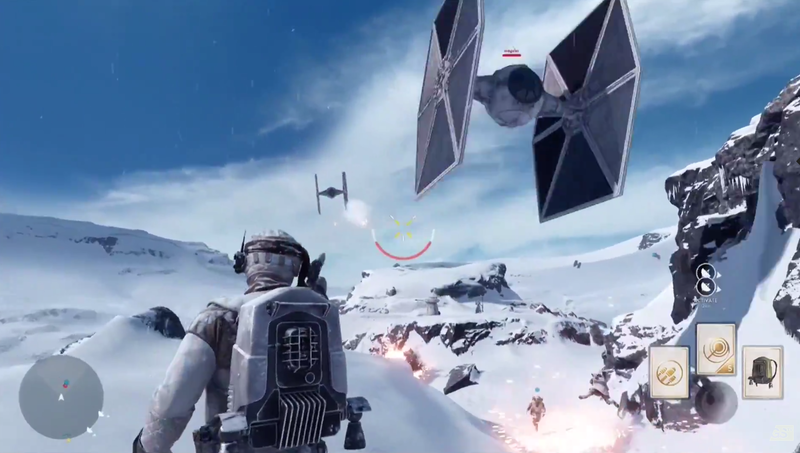 Star Wars Battlefront is a good, gorgeous Star Wars-based shooter. It just doesn't feel like Battlefront. I'm ruined. I don't think it's necessarily my fault, in this case, but one thing is becoming undeniably clear to me: As far as Star Wars Battlefront is concerned, I'm ruined. I'm checked out. I'm "not the target audience," or however you want to put it. I am the Fallout 2 fanatic who felt burned by Fallout 3, or the Doom veteran who wished Doom 3 were a bit less obsessed with monster closets. I am, in other words, the "scorned fan." And it's not because EA and DICE aren’t trying, and it's not because EA and DICE have made a bad game. 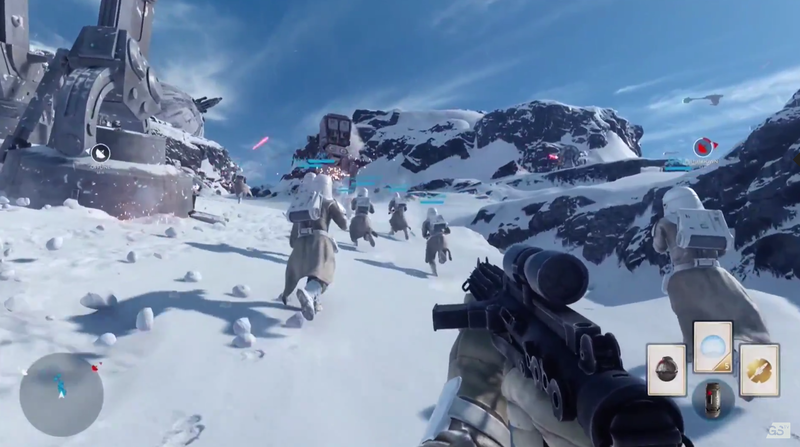 I am sure plenty of people will play Battlefront later this year and enjoy it. In fact, I'm pretty sure I'm going to play it and wrangle some fun out of it. It's not the Battlefront III I waited and waited (and waited) for though. It's just not. I don't think it's worth making excuses, or trying to pretend otherwise. Rather, I think it's time to accept that this Battlefront is going to be a wholly different beast from the Battlefront I know and love, and then grow to love it (or at least tolerate it)—like when your favorite band puts out an album and you listen to it a dozen, two-dozen times just hoping there's some connection. Because I didn't feel that connection during my E3 demo. 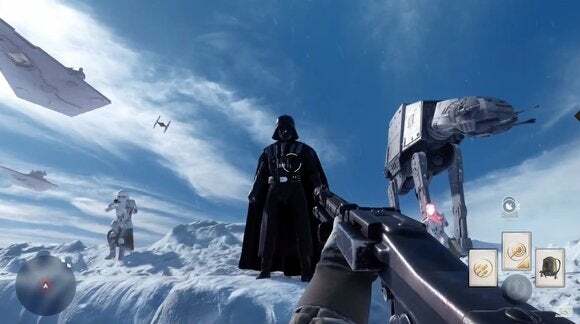 EA plunked us right down in the middle of Hoth, i.e. the Star Wars equivalent of a Normandy Beach level, and I just felt…nothing. Actually, that's not true—I spent a large portion of my demo marveling at the graphics, which are utterly fantastic even on console hardware. The AT-STs are particularly fun to watch, as are the retro spark-filled explosion effects. It’s just utterly gorgeous and extremely unique-looking, in the same vein as Alien: Isolation. But that Battlefront feeling, that feeling of playing with the most amazing set of Star Wars action figures? I didn't feel that at all, which surprised me. There are a number of reasons, many of which I already had concerns about going into the demo. Some are personal taste—I think TIE Fighters look really silly flying in the atmosphere, but they have to because we don't have space battles, and how could you have a Battlefront game without any TIE Fighters? Others are just not great design from a Battlefield-esque standpoint—like the scripted nature of the Y-Wing bombing runs, rather than ceding control to real pilots. Part of what made the original Battlefront so great was the scope—jumping into an AT-AT and walking it around, for instance. This new Battlefront is bigger in almost every way, and yet somehow feels smaller. That's partly because it hordes the biggest toys away from players, partly because the matches are capped at a relatively-small 40 players, and partly because our match seemed to get hung up on a single chokepoint, with control going back and forth over the course of the game. There wasn't really much impetus to explore most of the space DICE built out. And none of those are huge complaints. The game doesn't seem broken, nor does it seem terrible. It just doesn't hit the expectations I had after a decade-long wait. I still remember when footage leaked of the now-canceled Battlefront III. I remember watching as the demo went seamlessly from a planetary battle to a space battle. I remember thinking "Hot damn, this was worth the wait." DICE's Battlefront? It didn't hit those same notes. It definitely isn't as ambitious as that leaked Battlefront III footage. 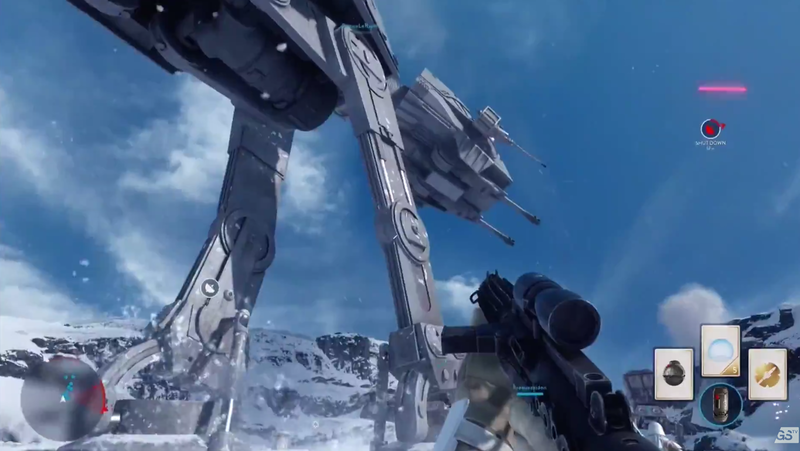 It feels…well, like Battlefield: Hoth. Not so much the way Battlefield: Hardline felt like a reskin of Battlefield 4, but there's still that feeling of same-ness, that familiarity, that creeping feeling of "Yeah, this is definitely made by DICE." Maybe it's not fair to go in with such a heavy bias. Actually, it's definitely not fair. I have a feeling some Last Guardian fans will be similarly disappointed, and maybe even some Half-Life 3 fans some day in the far-off future. Is it DICE's fault my expectations are too high? No. I think it's worth mentioning though, because I think a lot of you are in a similar position—you've waited for this game for a long time, and now you're curious "Will it live up to my own unreasonable, self-inflicted hype?" And for me, the answer is "Not yet." Notice, that's not a hard "No." I'm still disappointed in the lack of space battles. I'm disappointed in the scope. I'm disappointed in how much the levels are scripted. But I also—and this is an important point—want to play a Star Wars shooter. Battlefront is a good one of those, even if I have my qualms about dubbing it a good Battlefront II sequel. Again, to return to my earlier metaphor: It's like when your favorite band changes styles and you go "This is a good album, it's just not a good [Insert Band] album." Or, more appropriate, it's like when your favorite band "sells out"—everything is cleaner, more polished, more approachable…but just a little more lifeless than before. Then one day you're driving down the road and the band's latest single comes on the radio and you find yourself absent-mindedly tapping the beat out on the steering wheel, singing under your breath. And in that moment you realize: "Hey, this will never be my favorite but…well, it isn't half bad." Stay tuned for more coverage of E3 2015 from PCWorld, and be sure to follow my Twitter account for up-to-the-minute impressions and shots of the show floor.